2011-2012 Nursing Education Statistics Report - Canadian Association of Schools of Nursing / Association canadienne des écoles de sciences infirmières (CASN / ACESI). 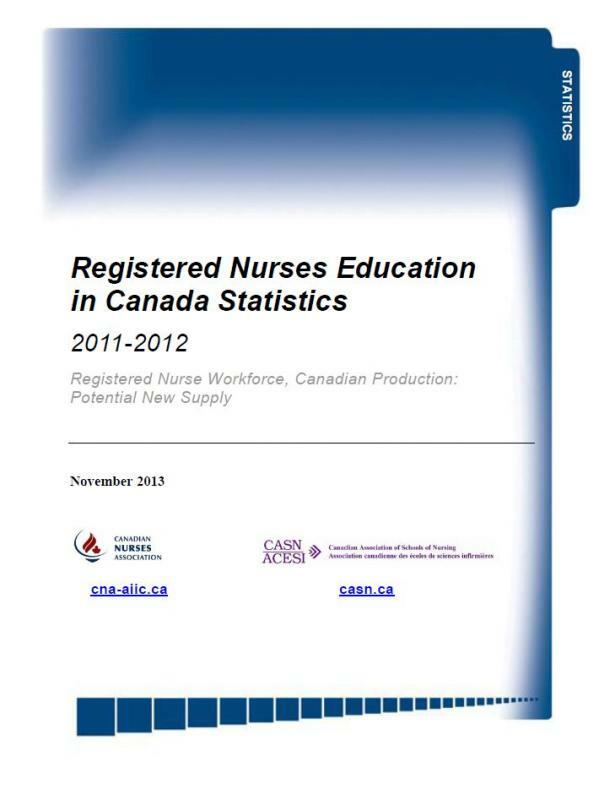 The Canadian Association of Schools of Nursing (CASN) and the Canadian Nurses Association (CNA) are pleased to present Registered Nurses Education in Canada Statistics, 2011-2012.
and faculty retention, recruitment and leaves of absence. Nursing school admissions declined slightly in 2011-2012 for the second time in 10 years. In total, 15,128 students began entry-to-practice (ETP) programs, down 1.4 per cent (from 15,347 the previous year). By and large, the number of graduates rose steadily between 2000 and 2012. Following a drop of 3.5 per cent in 2008, the number of graduates rose in 2012 to 11,777, a 7.8 per cent increase over 2011. The number of fast-track ETP programs has increased 138 per cent since 2007-2008. 53.5 per cent of all (108) ETP programs used some form of distance education. Nurse Practitioner (NP) admissions decreased 35.8 per cent in 2011-2012 from the previous year, with 300 students entering a variety of NP programs (compared to 467 in 2010-2011). Graduation levels for NP programs decreased by 11.3 per cent in 2012 over 2011, with 362 graduates in 2012 (compared with 408 in 2011). Schools of nursing employed 8,192 registered nurse faculty members in 2011-2012, though only 31.0 per cent (2,543) were in permanent positions. 58.4 per cent of permanent faculty were 50 years of age or older, 40.4 per cent were 55 years or older, and 18.8 per cent, 60 years or older. 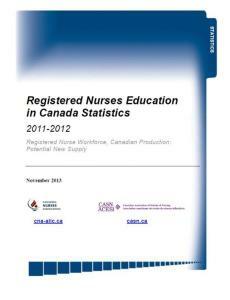 To view the findings of the Nursing Education Statistics in Canada, 2011-2012 report click here.